The Club is always looking for sponsorship and grants to ensure its long term sustainability. The equipment used in the sport of fencing is not cheap, and the Club tries to provide good quality, well maintained equipment across all 3 weapons - foil, épée and sabre. If you would like to sponsor the Club, the Committee looks forward to meeting with you. In recent years the Club has been successful in receiving grants from the City of Marion and the Office for Recreation and Sport. 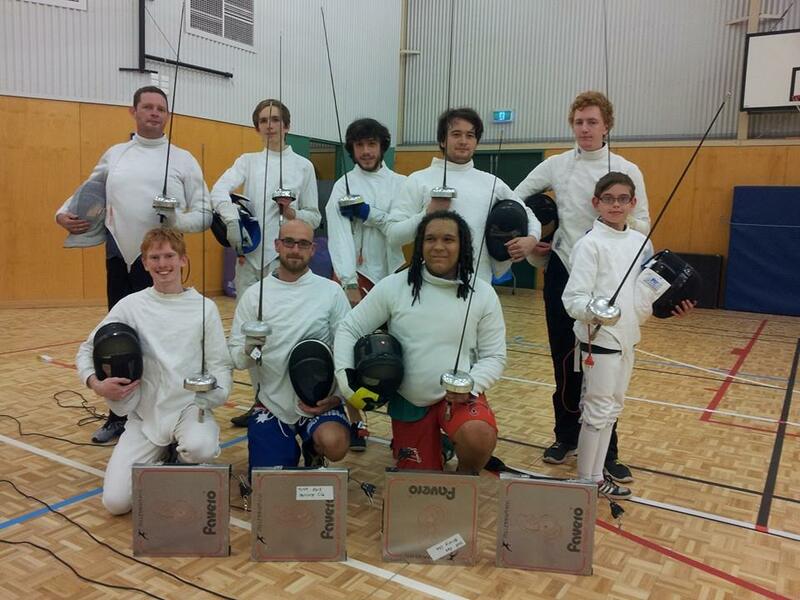 In 2011 the Club established an Equipment Project with the Australian Sports Foundation to raise funds towards the purchase of fencing equipment. Any donation $2 and over made unconditionally to the Australian Sports Foundation has tax-deductible status with the Australian Taxation Office and you can indicate your preference for your donation to be directed towards our Project. If you would like to donate, please visit our ASF project page or contact us. The Club received an Active Club Grant for $3,000 toward equipment, uniforms, volunteer management and training uniforms from the Office for Recreation and Sport. The Club received a grant of $2,500 from the Office for Recreation and Sport as one of the clubs involved in the Volunteer Pilot Project. This has assisted the club volunteers in a number of areas, for example, to subsidise the training for our two apprentice Level 1 coaches; pay for Senior First Aid training for the three coaches; purchase aprons for volunteers helping out at sausage sizzle and canteen fundraising events; draft position profiles for all volunteer positions within the club; commission an Armoury Manual; subsidise an end of year volunteers dinner; and advertise with the Messenger for volunteers to join the club. The Club also received sponsorship from Darryl Houston to purchase a three weapon box with a remote control for scoring and timing. Thank you very much Darryl! The Club received a grant of $4,000 from the Office for Recreation and Sport to assist in the purchase of FIE jackets, breeches, plastrons, masks, foils, sabres and épées. The Club received a grant of $2,000 from the City of Marion to assist in the purchase of 4 full sets of FIE sabre gear, to allow us to run FREE electric sabre courses for youths aged 12-25 years within the the suburbs of Hallett Cove, Sheidow Park and Trott Park. The Club received a grant of $2,350 from the Office for Recreation and Sport to assist in the purchase of four FIE foils, one épée, one FIE plastron and various components of foil and épée tips. The Club received a grant of $250 from the City of Marion to assist in the purchase of 4 masks.